Published on March 24, 2012. Takes about 8 minutes to read. 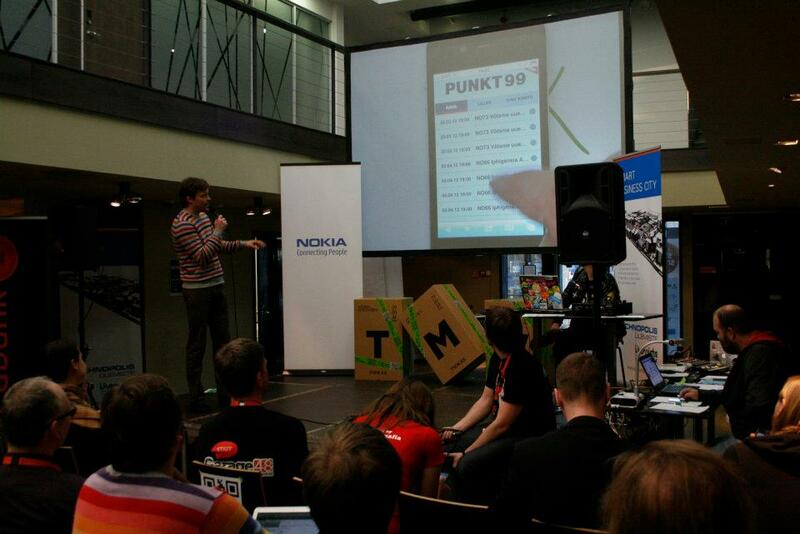 Garage48 Tallinn Music 2012 - my third participation in the foundation’s startup weekends. This post was written on three subsequent nights at around 1am and expresses my personal opinion of the events of the weekend. 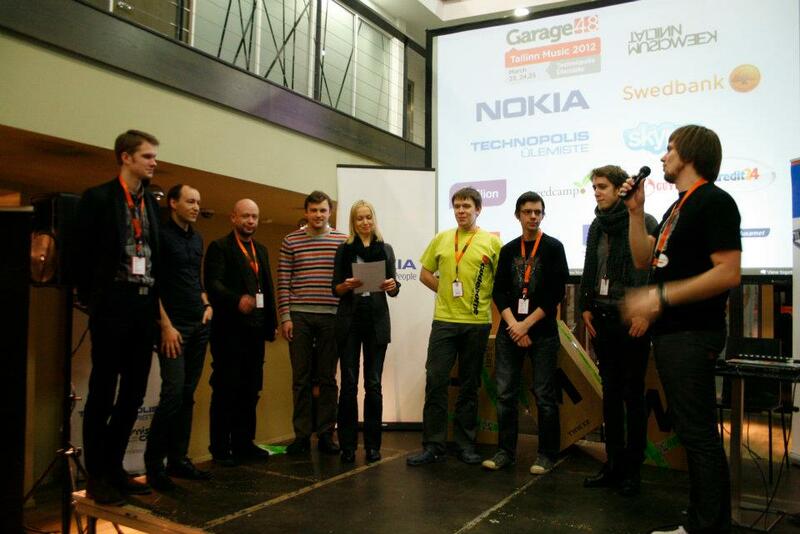 What is Garage48 Tallinn Music 2012? Arrived at the venue (Tehnopolis Ülemiste, also the host of Garage48 Tallinn 2011 - read my post about THAT weekend) right after work. Deadlines with school and work are both tight at the moment and I decided to cram in a weekend of sleeplessness. Oh, well… The venue looked emptier than a year ago, with some vacant seats - I guess many of the previous startups really did start up and the authors are now busy conquering the world. Traditional intro, traditional, brutal pitching rounds with 90 seconds to convince the audience of the success of the idea. The usual story - some pitchers did it well, some not so much. Maybe I’m being dull or maybe it’s my (lack of) taste, but I found a lot less ideas appealing (as in Yes!, I’ll join the cause!) than previous times. Maybe the Music theme held some ideas back? That was, in fact, the reason I didn’t submit some of my own ideas to the discussion. The forming of teams, the sacking of ideas and I found myself with a group of amazing people, with an idea that has potential to solve (amongst others) my own needs. Slept in and made it to the venue half an hour late - great way to start Garage47. Alvar, my pair-programming partner, was already there and keeping busy for the past few hours. Yes - pair programming. The room was set up with (several sets of) two big monitors and two sets of input devices, both attached to the same PC - so there quite literally was no other way to work. Anyway, the environment and framework base was already setup. We had decided to use Java and Play the previous night (I was fluent in PHP, Alvar in Java) and naturally, I knew next to nothing of them. So, the first few hours went into observation and finally, I caught on… somewhat… and dared to take control of the input devices. Development, development, lunch, development, meeting, supper, development. Some fresh people arrived and got to work on design and front-end. Sometime after lunch and before supper, Meelis Lang arrived and made the day more awesome. Two mentors popped by to comment on the idea. We set up a demo server (http://punkt.no99.ee) and things seemed to go along. Still a lot to do, though, lot’s of back-end features to implement… And to do that, I ought to wake at 5am tomorrow. So, curtains for today. Come see us in a few hours - the final presentation is public (details on garage48.org) or live-stream it from the webpage. Woah! - another Garage48 weekend is behind me. Exhausted, but happy. Been up from 5…no, 6am (the clock was turned and I slept longer than anticipated). It was still partly dark and hailing when the lead programmer (Alvar) picked me up to head to @codeborne offices to code. The crazy dude had waken up at 4am(ish?) and driven to the office to do some major work on the back-end code so when I arrived, the ticketing and like-ing systems were done and point transaction database tables created. Pair-programming @codeborne, even in the early hours, is not so bad. There’s coffee in the kitchen and comfortable chairs and IT equipment make focusing easier. And, there’s this crazy hackathon spirit to drive the projects… The others came in as the morning progressed. We spent an hour trying to get Play SecureSocial module working with Google & Twitter for authentication. There was trouble with getting a security token from Google (and in the end the module didn’t work) and Twitter refused to give out e-mail addresses, a condition we had based our user database on. So in the end, we dropped all but Facebook auth. As for the coding… pair programming is… an unique experience. There’s this temptation to grab control of the PC and write some block of code at any one time, but also the pressure to do everything right, because someone is constantly scrutinizing your work. Working with Intellij Idea Java IDE was fun, the software is mature and satisfies all programmer needs. Using git made teamwork possible. They had mushroom soup for the vegetarians for lunch, it was superb. The only thing I didn’t see in stock was coffee, which I found quite odd. The open workspace meant that everyone (non-programmers) were (mostly) gathered around one of the two workstations in the room (frontend/backend programmers) and constantly giving ideas for improvement. I’m glad I wasn’t the front-end programmer this time since (s)he is usually the one who gets most attention. We managed to get most everything in the scope done before the presentation, but in a typical G48 fashion, something blew up in our faces: the production server, punkt.no99.ee had issues with database migrations (or rather, we had disabled some permissions from the MYSQL user the previous day for safety) and we were still debugging the issue when the others had already left to the main hall for presentations. Luckily, the problem got solved. The presentation went well, with no fatal exceptions or malfunctions and the speaker did his job well. Had an interesting conversation about IT projects and G48 in general with Meelis Lang, who said I should share my opinion of G48 with G48 so they could promote the event with testimonials. So I’ll do that now. I’ve participated in the hackathon three times now and after each event, my IT-skills have gone up considerably. The first year I learned to be a front-end programmer and appreciate designers, the second year gave me the opportunity to learn design (and get obsessed with) of RESTful APIs and this year, I got to Play with Java (with no previous experience). So, you see, G48 is much more than a startup generator; it’s a intensive learning experience with a fun and competitive twist. A lot can happen in 48 (47) hours, some stuff blows up, some confidence wavers, but when (if) you have something potentially viable to present in the end, the feeling is… My team - our team - was selected as the Runner-Up, Favourite of the Audience - thanks for that! I respect NO99 and the brave lady who decided to push the project into action and I have little doubt that once we clean up the code (because, let’s face it, hackathons are hackish) and develop the product a little further, there’ll be NO99 tickets available on the move. The morale of the story - you have an idea, G48 has the people who volunteer to make it happen - just convince us within 90 seconds. * All used images were made publicly available via other channels (Facebook). Write to [email protected] to have them removed.